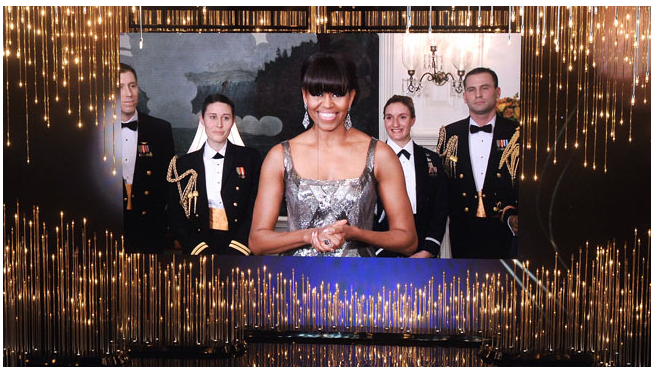 The first lady made a surprise visit to the Oscars ceremony yesterday, not in person but by a video link to the White House, and as a presenter of an Oscar, not any old Oscar but the one for best movie of the year. The first lady is not an actress, and nor is she a direct politician, so that makes or more or less like anyone else sitting and watching at home, and why exactly would she present the Oscar for best film when the very capable Jack Nicolson is just there and can do a better job at this?. Is this another move to blur the lines between government and entertainment, or is this some PR stunt who is made to enforce the “cool” factor the president and his wife enjoy?, say whatever you will, time is running short for the American government to fix a leaking economy, which is in dire need of life boosting injections every few weeks so it would not implode, but for some reason the attention is diverted to completely different things – who have no real value. The Academy award is given by the members of the acting academy, not by friends and relatives of elected members of the public, the idea is to have the award served by those who know the actual craft and can show their appreciation of the work their fellow actors and film makers have made, this is clearly not the case here, lets hope is it not a sign of a desperate “bread and circuses” tactic.